Well if you are lacking that Christmas cheer this month, or maybe you’re just missing the snow, PS Home is here to deck the halls. Old Nick needs your help! 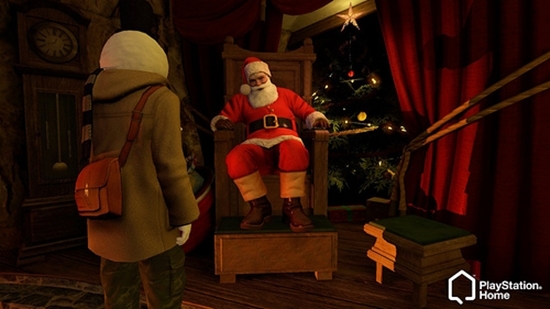 If you decide to log on to Home, you will find that old Santa Claus is in dire need of help. His little Elve’s have absconded from the Christmas den, so Father Christmas is willing to give you a few Home gifts in return for some voluntary labour. The Winter Wonderland for PS Home is set up on Sony’s European blog already, and we expect it to be up in the US shortly.